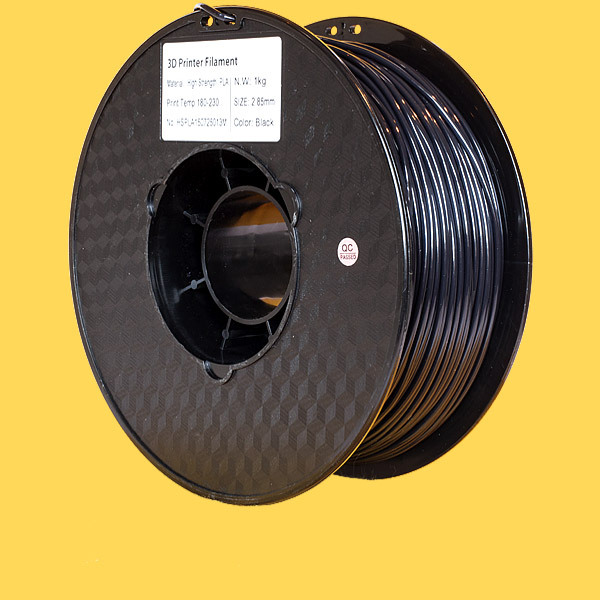 This is one 1.0 kg spool of 2.85 mm black High Strength PLA. High Strength PLA is 50% stronger than regular PLA. It also has about 50% more resistance to heat, which ie. means prints will survive the dishwasher. You also get 50% less shrinkage and 50% less moisture absorbtion. This filament should be printed between 180 and 230 degrees celsius.